I'm right there with you. Our timelines are similar. I'm impressed by all you do. I hope your dad is ok.
Hi @Rosetta. I just read your thread even with your warning not to if in a fragile state. I am and yet, as we are on similar timelines, did. Totally relate to what you are saying. It is a scary, dark time and no pills are going to provide a magic bullet to make the pain go away. Time, time, time. This is as dark as a wave as I can remember and most of it is due to the triggering stress that has happened in the last few weeks. And still have not gotten my period. First one I've missed ever. Tonight, I thought I'd sit in the hot tub at the gym and, en route, my car stalled out. Long story short, a good friend jumped it but I started going over the edge with my lack of finances and a crappy car and... well, it was grim. Came back home and took an epsom salt bath. Hands are shaking but I am still here. I refuse to feel sorry for myself. Hang tight, my friend. My thoughts are with you. Thanks for stopping by. Thanks @Kristine -- I would totally love that blanket. Maybe that's what I should do now, wrap up in a blanket and read. It's a sunny day (rare here in Seattle) and I feel like I should be doing something but can't drum up the motivation. I've been reading about inflammation of the brain being a potential theory for why people suffer depression. That is part of the reason that SSRIs work -- the anti-inflammatory part of it, not the serotonin uptake inhibition. Of course, they work until your brain changes because of them and then they don't. Regarding brain inflammation, I've been doing a lot of things right nutritionally for several months and getting acupuncture the last few -- although it could be better like eating more consistently, and reading the Claire Weekes method... I do not have a strong support network and spend a lot of time alone. That is hard and something I want to work on but it is so difficult now. Trying not to get too too hung up on the TIME factor and worrying that I am just ruined because of repeated/failed CTs. Started taking a desiccated liver supplement (for B vitamins and iron) two days ago and hope that helps ease my brain a bit. My friend who has breast cancer was here this weekend. She looks sicker than a month ago but has an attitude toward illness like, "I am not going to let this get to me!" I am grateful that my body is in pretty good shape and, aside from a broken brain(! ), no illness. Oh, wouldn't it be lovely to have all the answers, to know exactly what to do. For example, Id love to have my meals delivered, which contained the exact amount of nutrients and portion size for optimum healing. With a sprinkling of turmeric for the inflammation I'm sorry you don't have a strong support network and spend a lot of time alone. I have support from my husbands family...my own family are not supportive and I've had to build strict boundaries, my family is destructive. Also many of my friends have 'disappeared' from my life. If I would pick up the phone, I know some would like to catch up...it's just that I'm not ready. I know just how hard it is to maintain friendships or make new friendships when one is so ill. I know I'm not capable at the moment but will try at sometime in the future. I guess you may need to gently test the waters and not put too much pressure on yourself. Also you are not 'ruined', you may be a rattled, bruised and tarnished but definitely not ruined my friend! ps. I'm sorry to hear about your friend but I like her mantra. Yes: Seattle gets a lot of rain but mostly it's dark with low grey clouds October thru March or April. It's ridiculous, really. But the spring is beautiful. Almost makes one forget the winters. * Thanks for reading my post. I remember that when I went thru a very stressful trigger, I was at first had high anxiety and then a low depression. We'll see if this follows that pattern or changes it up. Last night in yoga, the instructor presented "acceptance" or "neutral/observing mind" in a way that resonated with me. Maybe I was just more ready to actually hear it. The idea that there is always "pain" but you can just simply observe that it just "is" and not try to control it. Let the pain be until it is not. So, I am making myself aware of that whenever I can. Letting the pain be and not getting caught up in wanting it to be different right now. I'm glad you have support with your husband's family. Any support is so helpful. I am glad to be away from my family again. I know that my parents could use my help more often but I am 3000 miles away and their life centers in a 30-mile radius. Plus, the drama is way way too much for my sensitive self. I've finally realized that is a boundary that is firm. I hope you are feeling better soon. Anxiety is followed by depression for me, too. Inflammation of the brain. Mmmm. I was just reading about gut flora. There's an idea that getting enough fiber help to have beneficial gut flora. I would think that at some point in WD, the gut would be ready to have better flora. There are so many possibilities, but we can try them and see, I suppose. That at boundary with your parents is very important. Mine is with my mother, too. I'm glad you can see that and live in a way that you can protect yourself. Thanks, @Rosetta: I guess many of us here at SA had less than ideal parents. And, at least in my case, extended family too. Sometimes thousands of miles seem moot when they get in your head. I am trying to improve gut flora too. Try to drink kombucha occasionally even though it is high in histamines, according to the interwebs. And just had some broccoli. I think that the mental/emotional stuff is as if not more important sometimes; my diet seems pretty good if not enough (I'm slighter now) but the intrusive thoughts are rampant. I was never like this... accept, accept, accept. So great to read about your sleeping in public and impetus for organizing/tidying activity. That is hopeful and, as we are on a similar timeline off the same drug, I look at your progress often. It seems similar. I made this today for the annual non-juried art show of Brain Injury Alliance of Washington (BIAWA); haven't done anything for them in at least five years. However, while this ostensibly refers to the brain tumor that was removed (my "brain reduction"), I think of it more as a brain that suffered an iatrogenic (sp?) trauma by pharmaceutical withdrawal. Fragile, stitched together, but still in one piece and beautiful. Letting the pain be and not getting caught up in wanting it to be different right now. I really like what your yoga instructor said and your above statement is spot on...it be honest I think this kind of acceptance is the key to getting through this experience. Plus, the drama is way way too much for my sensitive self. I've finally realized that is a boundary that is firm. You definitely do not need drama. I imagine our nervous system has frayed edges, like a piece of cloth. It only takes a little bit of drama/trauma to tug at one of those loose strands to make us unravel even further. We must treat ourselves with care. Wow! This piece is truly beautiful FGW. You are very talented. "Fragile, stitched together, but still in one piece and beautiful"
What a beautiful way to express your withdrawal experience, FGW. Thank you for sharing your piece with us. I hope it was cathartic to make. Thank you for the kind words on the felted brain, I am glad it resonated. I think your analogy of the frayed edges and it just takes one pull to unravel so much. The last few weeks were big yanks on my cloth :-( But my period started today -- over two weeks late but that is a sign that my body is relaxing a wee bit. Yes, it was cathartic... It's been hard for me to do anything so it was good to complete a project. This wave has been long -- 6 months so far -- with only moments, literally moments not minutes, of windows. I saw here that @Dan998 had a 10-month wave that almost drove him to reinstatement and that has given me more gumption to persevere through the pain. And it is dark right now, as dark as I have ever remembered it, and I am almost 13 months out from a rapid taper. I am also listening to "Anatomy of an Epidemic" to inspire me that this is the "right" decision. Certainly not an "easy" path at this moment and perhaps not ever but I think it is ultimately the right path. It reminds me of inspirations of mine that were on various psychotropic drugs -- David Foster Wallace, Robin Williams, Chris Cornell -- that were victims of this pharmaceuticals-cure-everything period of time we live in now. It is so wrong and I hope to hell I recover and can somehow help others struck down by this b.s. 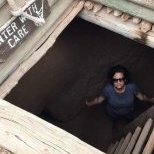 I read the "Who Is The Real Me" thread in "Finding Meaning" here and was heartened and saddened by the responses. I believe that we will not go to our pre-drug selves because this experience has changed us hard. However, this is a time when we can learn self-soothing techniques and tactics to get through the rough times. And, as a record here for later, I took a 2:1 CBD/THC gel cap yesterday and that, I think, drove my depression even farther down. So, continuing the no herb status which I started a couple months ago. I am too sensitized. I'm so sorry you are feeling depressed right now. It can all change so quickly. Holding on and waiting for that will be worth it. 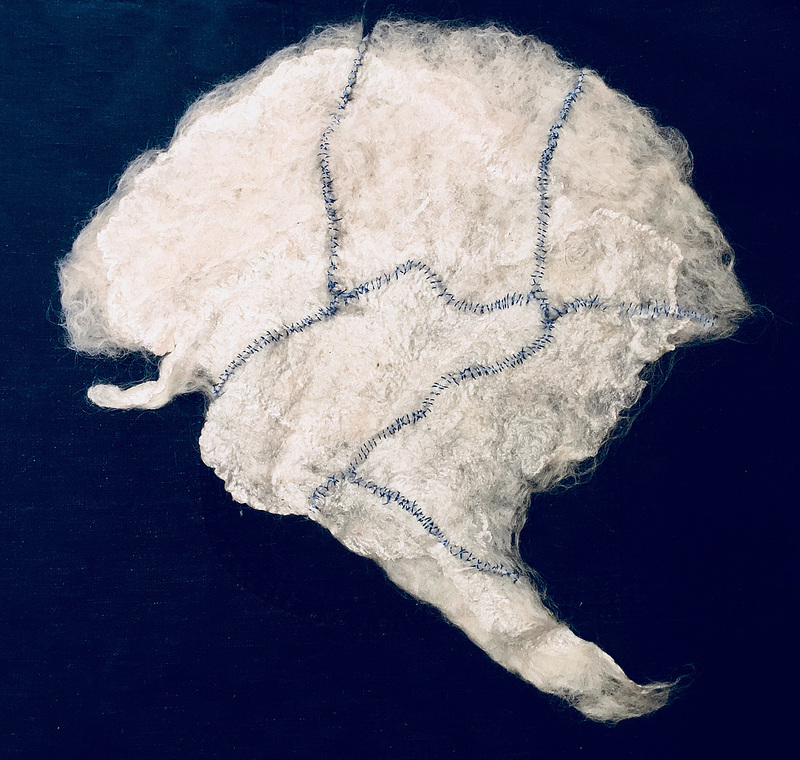 You were able to make the felt brain, and that is a good sign that somehow, imperceptible as it may seem, your brain is working away, mending the changes and preparing for the time it will function properly again. Lean on us as much as possible. I too am so sorry you are feeling this way, FGW. I really hope this wave lets up and you get some longer windows soon. It will change but in the meantime, as Rosetta said, lean on us as much as possible.....you are not alone. Thinking about you - WR. Thanks @Rosetta and @wantrelief... I will definitely do that. Went to an AA meeting today and that got me out of my navel-gazing head 🙂 Also was able to go to kundalini; it's been since Wednesday that I was able to go and it really effects me if I don't go. I had a realization yesterday. I took drug Ecstasy/MDMA in the early 2000s. I only did it twice because -- even though it was the most amazing high I have ever experienced -- the come down was awful: severe/deep depression, increased anxiety, not caring about ramifications of actions (for instance, stealing blatantly from department stores). The come down lasted about 4-7 days. The last 13 months off of Zoloft has been like the MDMA come-down except much worse and, so far, still going over a year later. The irony that this *&#@ is legal is mind-boggling. "MDMA works by increasing levels of the neurotransmitters norepinephrine and dopamine in the central nervous system. At the same time, MDMA destroys serotonin-producing neurons which play a direct role in regulating aggression, mood, sexual activity, sleep, and sensitivity to pain. While many users think that MDMA is not addictive, this is not true. While physical dependence on ecstasy is rare, psychological dependence is possible. And needing help with ecstasy addiction can be avoided by avoiding large or chronic dosing of MDMA." The irony is very true FGW .sending healing vibes your way . I see your doing a lot of acupunture. Just be careful that this isn't triggering symptoms in you. I started getting regular treatments and I had horrible flare ups from it. She was doing a "detoxing" protocol on me, it caused horrible symptoms. After she did a more mellow one, still symptoms. Also some of the supplements your taking could be activating, you just don't realize it. I can't take anything but the liver supps. Magnesium baths even set me off sometimes. Also- if your having problems with histamines, also check out a free-glutamate sensitivity. I just realized that I'm having issues with this as well. Thanks @Peachy for looking at this. I am considering reducing the supplements again to just omega3s and vitC... stabilize. Or the liver only... I am unsure. The epsom salt baths seem to help relax me a bit. And the acupuncture is specifically for WD so no detox action. I think it helps a little. I think you are onto something about the supplements and glutamates. Doing a bit of research on that. Seems like I'd be on the low end. Do you have suggestions on food regarding this when in WD? @FarmGirlWorks, no worries! I would check out the site unblindmymind.org. She has a daughter that was cured from Autism symptoms by taking out free-glutamate. The big ones Ive just noticed are bone broth, collagen powder, gelatin, beef jerky, coconut yogurt, some fermented foods, and a probiotic that really set me off. And fish oil helps alot of people, but turns on a lot of people. My suggestion would be take out all supplements for a few weeks, then add each one in individually in small doses. Some people also find that supps are good at first, then turn on them. Just be careful! That’s what I was thinking about supplements... will check out the web site, thanks. Hey FGW - I think these signs are indeed hopeful that your body is moving in the right direction! Ah, as soon as I think a wave is past, it rears its ugly head again. I've had a cold or allergies (unsure which) for the last few days. This has worsened my mood as well as less socializing and feeling pressured to work on my felted urns. They have been in limbo for so, so long. However, I feel at 13 months, I want to note symptoms from the Glenmuller checklist. I don't feel like being with people and yet I feel so lonely. Catch-22. I'm sorry, FarmGirl. Hugs, honey. I am so sorry, FGW. This withdrawal cr*p is hard enough but when you aren't feeling well on top of it...well, that just makes everything worse. I am thinking about you. Good for you for going to the theater performance despite not feeling well - that is great!! I hope it lifted your spirits a bit. I am sorry you missed seeing your friend from LA but can completely understand that being way too stimulating/overwhelming, especially after having gone to the theater. I know it is disappointing not to experience more improvement after 13 months but you really never know what it is around the corner, just keep hanging in there. Well, you are the sweetest and an inspiration of patience... you know what I mean about Capitol Hill: I don't go there Saturday nights even when I'm feeling well! Ah, yes, I try to push away the thoughts about how long I have waited for freedom from this situation. There are those moments when I realize I'm improving. Those improvements have to be enough. I noticed just recently that the inside of my ears don't itch all the time. They used to itch constantly. Now, when the left one itches a bit I remember that one little improvement shows that we heal. Going to the theatre -- that is great. I'm glad you were able to do that. Yet another improvement I'm sure! @RosettaThat is reassuring that you note improvements whatever they may be -- itchy ears! I tip my hat to folks here who keep close track of their symptoms over time thru databases or whatever; I am not that organized. I have noticed though that, in the last few weeks after a 6-month-long wave, the cycles of windows/waves is faster. In that, I get a few hours of a "dirty window" (tipping hat to you for that term) and then back to wave and then back again. This seems hopeful. The physical symptoms are gone at present, just depression/anxiety/cortisol spikes. I am thankful that I do not have debilitating symptoms like some brave souls here. I just read the thread about Claire Weekes. She is beloved here at SA and this is the time to learn how to deal with this anxiety. I feel like recovery is being prolonged by not. I tried to listen to her several months ago but could not abide by her prim voice (audiobook). However, I am more desperate now. @wantrelief: Cap Hill is ridiculous... if that is what it means to be hip, then let's proudly be dorks. How are you doing now? Cold better? Thanks for asking. The cold is going away so more energy. The cog fog and a headache from insomnia are the current symptoms. I just had to do a brief promo talk at a small community council meeting and I could barely get words out. I didn't prepare at all as before drugs this kinda thing was easy but now -- ugh. So the lesson in this is to prepare for even small talks -- or just be okay with a less-than-ideal presentation. Oh, that's too bad, but the fact that you did it - wow. That's great!